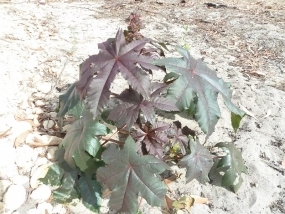 Meaning of name: Ricinus was the name used by Pliny for the Castor Oil Plant. The meaning of communis is not known. 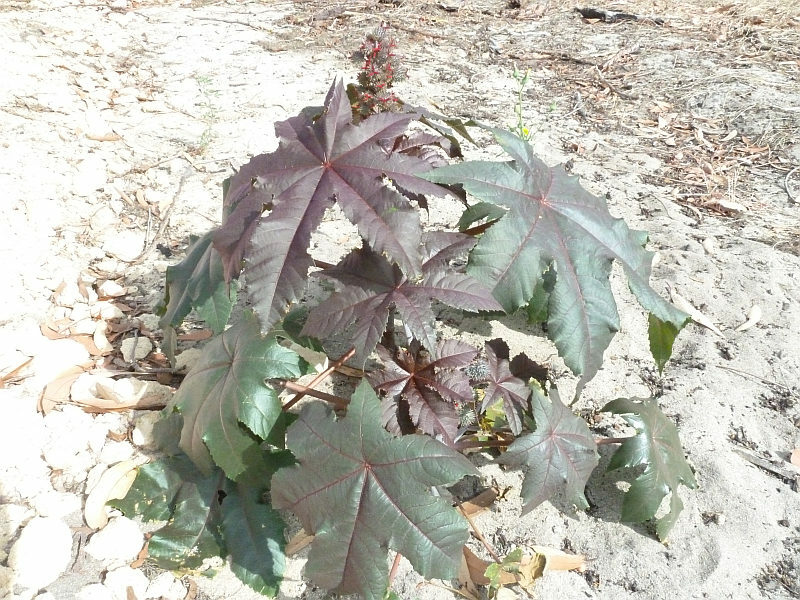 Distribution: Found on disturbed areas throughout Western Australia. Remarks: A shrub to 5 metres high. 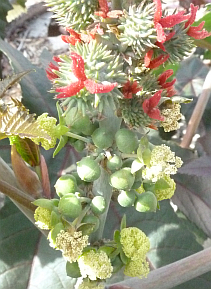 The female flowers are red, the male flowers are yellow. 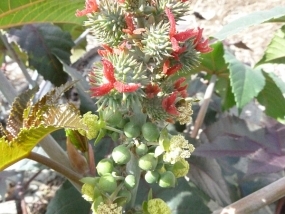 The seeds are poisonous. 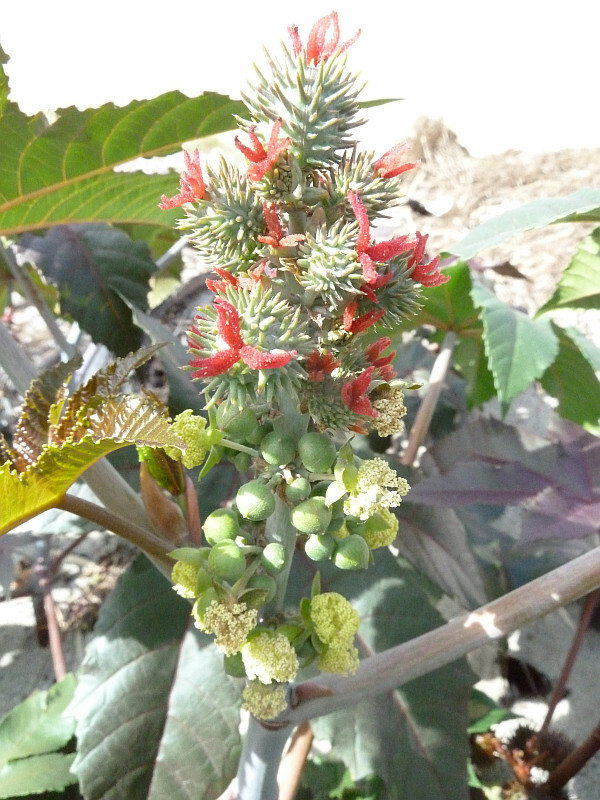 This plant is native to Asia and tropical Africa.